In just 23 short days, Christmas will be here! As the anticipation of the holiday builds, our schedules all get a little busier, but making time to bake cookies is always at the top of the list. 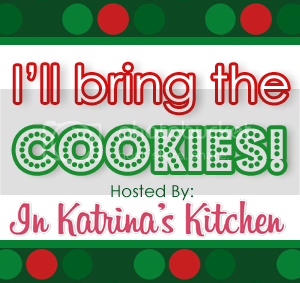 Hi there, Katrina’s fans, I’m Liz from Hoosier Homemade and thrilled to be here for the I’ll Bring the Cookies Event! 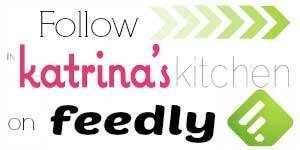 Whether I’m sharing a mouthwatering dessert, a crafty idea or helping you decorate your home, I STRIVE to help Moms and Women “Be Heroes to their Families”! Growing up I loved helping my Mom bake Christmas cookies, the Dining Room table was often lined with newspapers and filled with lots of different cookies. And although I loved all of the different fancy cookies at Christmas time, our family has grown to love the classics. One of the traditions that we carry on from my Mother-in-law is setting up a treat table during the Holidays and right next to the Homemade Chex Party Mix are these Soft and Chewy Chocolate Chip Cookies. I know to some they really don’t seem too much like Christmas, but for our family they remind us of both Grandmas. Thanks for bringing the cookies, Liz! Yummo on the cookies. I love me some CC Cookies! They look great! 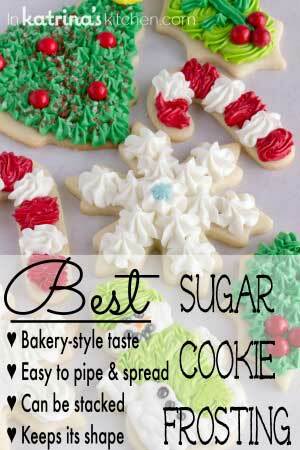 And I think Christmas cookies are whatever give you nice memories. So there. They're Christmas cookies. 🙂 But most importantly… they're soft and chewy! I love soft and chewy chocolate chip cookies. I don't think I could live on them but I'd like to try it for a week or so. Lovely to meet Liz and I'm off to visit her now. Looks delicious! 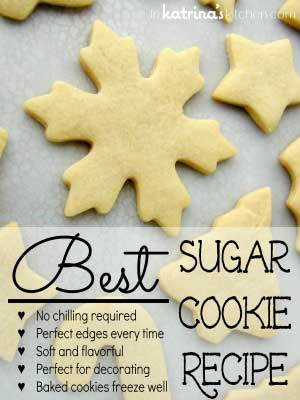 I love a good cookie and this one looks great. Seems delicious ! Just like we love ! 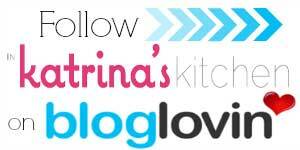 My recent post ..Fluffy &quot;One cup&quot; pancakes de Jamie Oliver..
Mmmmm. 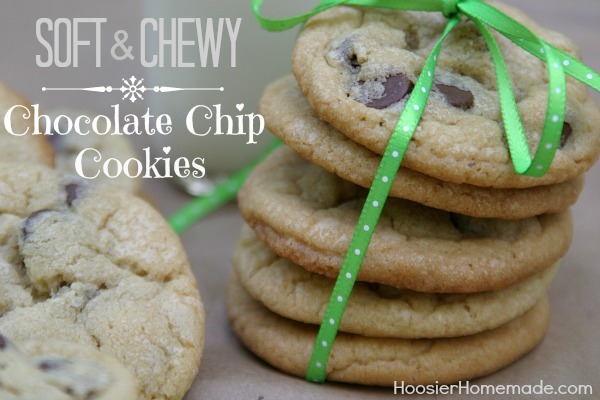 soft and chewy is my favorite kind of cookie! These are a classic at our house during the holidays too! 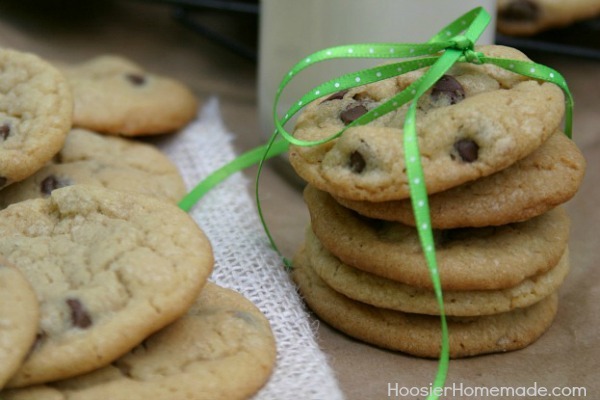 These ARE the BEST Chocolate Chip Cookies ever! My daughter made them two days ago and they are still as fresh and soft as when they came out of the oven. She used butter not shortening and they were perfect! 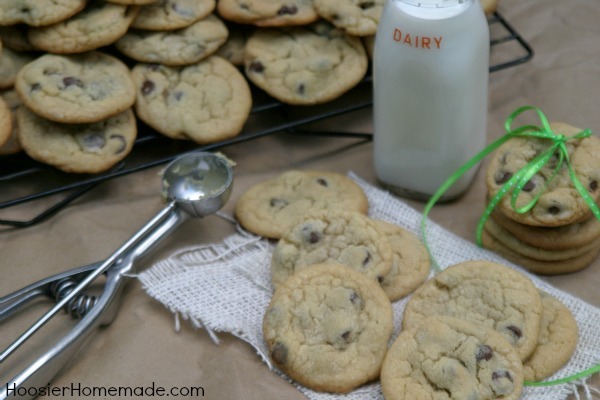 Throwing out all other Chocolate Chip recipes. We don’t need them any more! Thank you SOOOOO much for sharing your recipe! So glad you are a fan! Our family loves this recipe too. Hi! These cookies look amazing 🙂 I can’t wait to try them! Did you use granulated sugar and plan (all-purpose) flour? Yes- thank you for asking. I made these last week for at home and work and they are sooo delicious. I’m making my second batch now for my son’s class snack tomorrow. But I’m using white chocolate chips this time. Yummy! 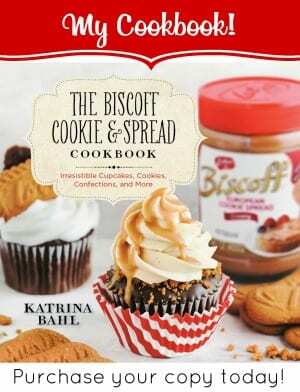 i will be making these when ever i get the chance! BTW i added mini m’n’m’s as well as choc chips and i think they are the perfect combo! Hubby wanted chocolate chip cookies w/o the chips.?? I made your recipe and baked them on a Silpat mat instead of a greased pan. I used a #40 scooper. Do you flatten them a little or leave them as they are? I left them as they were. I had to bake them a tad longer, either because they were pouffy or because of the mat. What do you think? I baked them a total of 10-12min.